Sometimes it is fun to throw a not so common fruit into the mix… meet the Dragon Fruit. 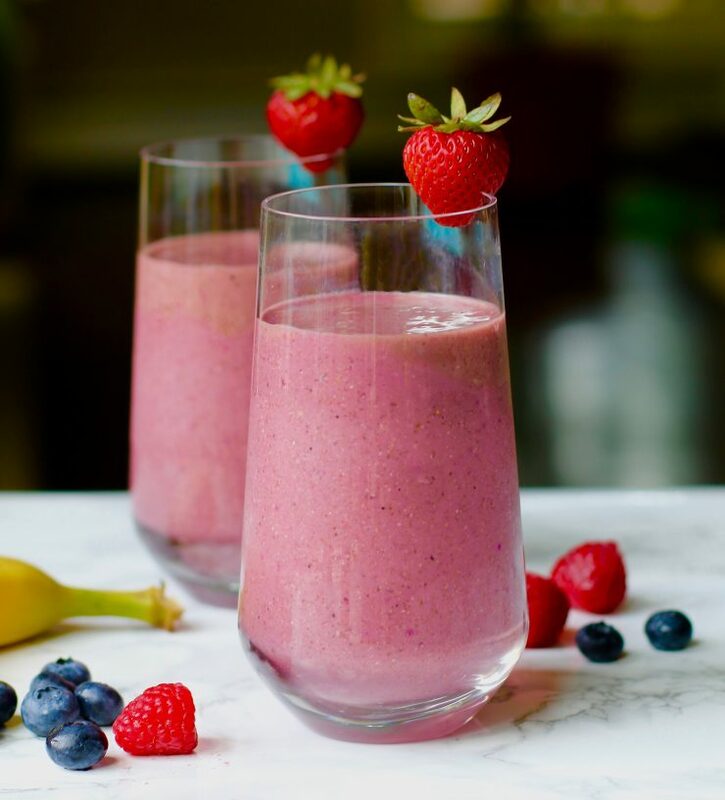 The vibrant pink color of this exotic fruit not only makes this smoothie look beautiful it also contains numerous amounts of vitamins, minerals, and phytonutrients. 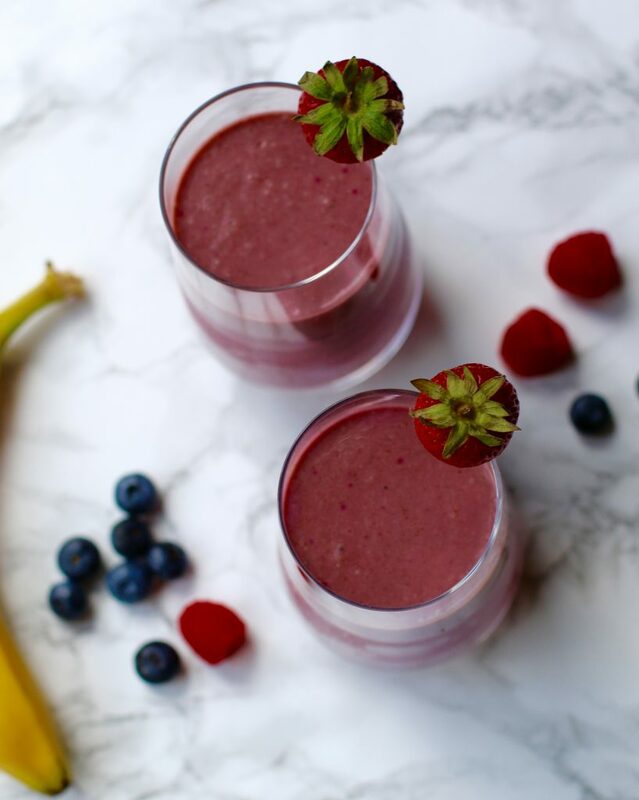 The combination of healthy ingredients in this easy-to-make smoothie is a great way to hold you over until your next meal. 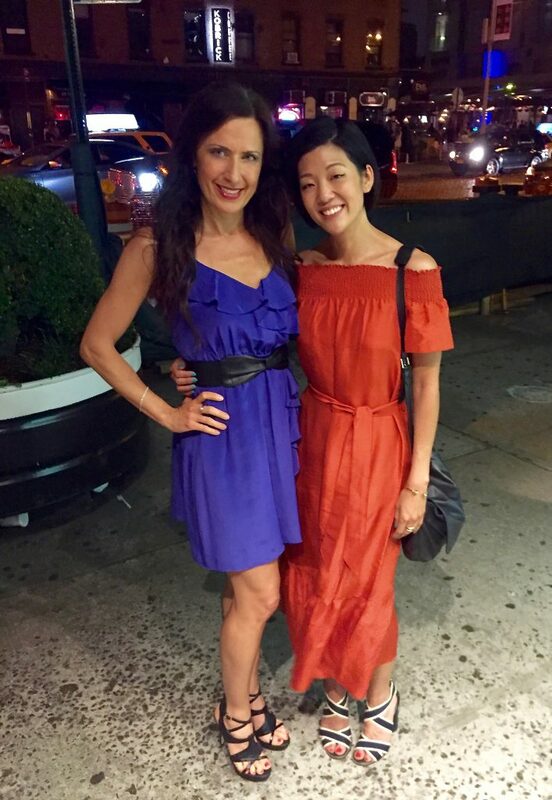 Speaking of vibrant colors, don’t you just love the ever so stylish, Michelle Lee’s dress and shoes?! Wouldn’t expect anything less than a chic and trendy look from the editor-in-chief of Allure magazine. This fantastic magazine is a great way to keep up with the latest trends in beauty, fashion, and women’s health. 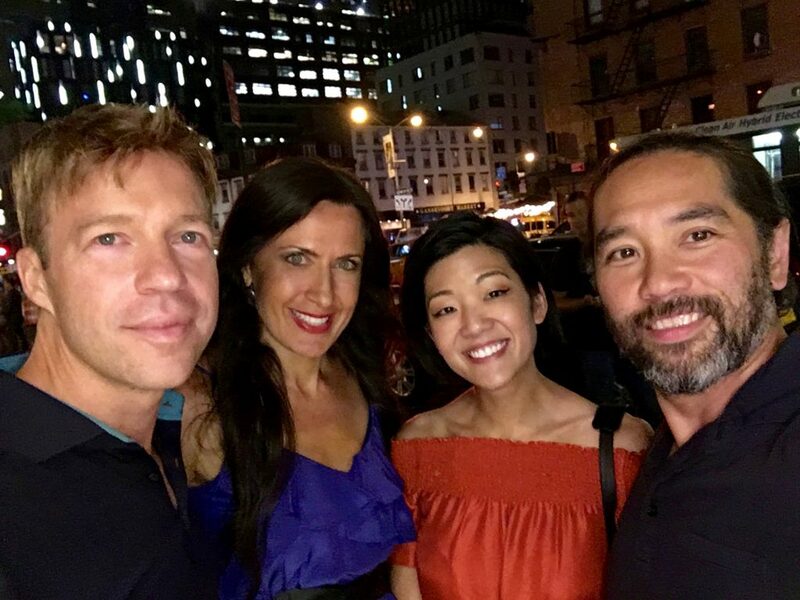 I have been friends with Michelle for 7 years and she is one of the most talented, creative, and intelligent women that I know. I admire her for being able to juggle a highly demanding career and the ability to run a household. She has such a big heart and she is truly an inspiration. Her husband Erwin, who is hilarious, is an Ironman and triathlon competitor. 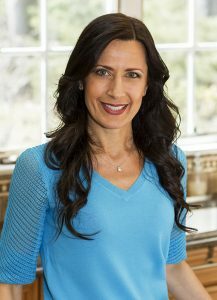 He is a wealth of information and I love talking to him about nutrition, health, and running. 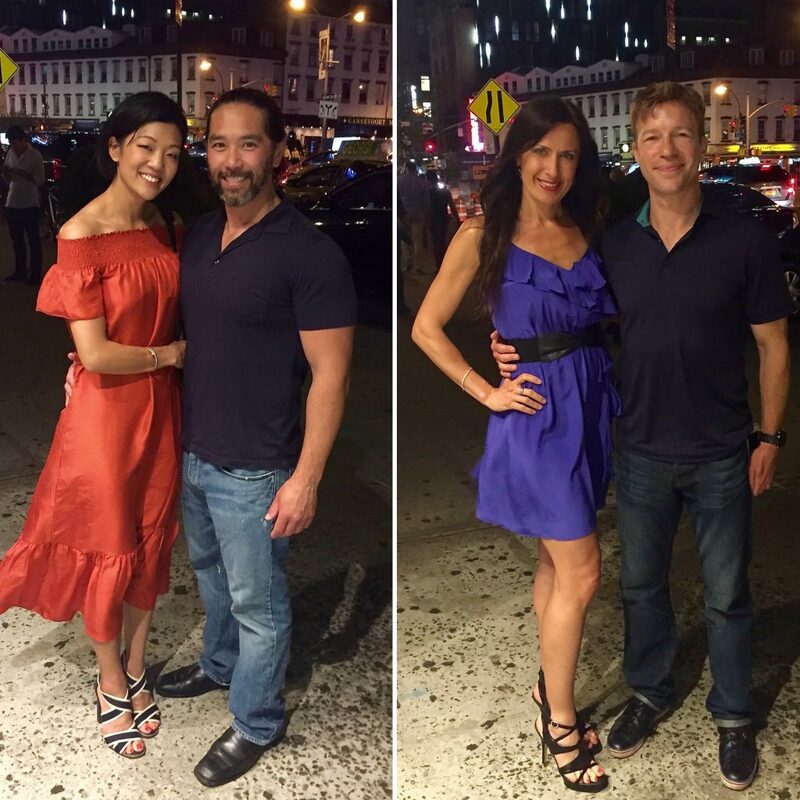 He gets along well with my husband… look, they even wear matching outfits We reminisced, laughed, and talked about plans for future excursions while enjoying our time at the SoHo House! After yesterday’s night out and today’s 8 mile trail run, I am looking for a quick and healthy post-workout replenisher. 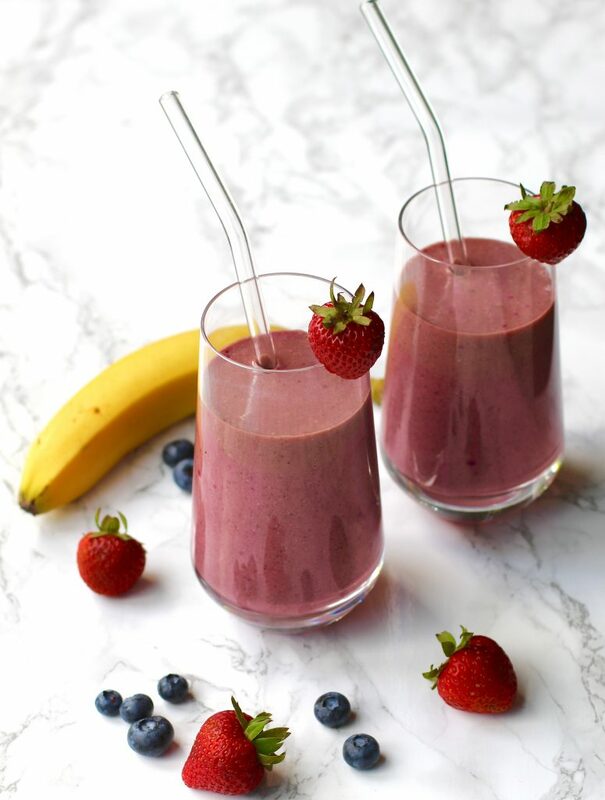 Smoothies are a wonderful way to achieve the vitamins and minerals needed all in one glass. There are several benefits in consuming raw fruits and vegetables. The nutrients and natural enzymes are intact when the food is not heated, therefore it will boost your digestion and fight chronic diseases. Most of you may know that chia and flax seeds are high in fiber and omega-3 fatty acids. However, did you know in order to absorb those great health benefits they must be prepared a certain way? Here are a few tips when using chia and flax seeds. Chia seeds should be soaked in order to help maximize the benefits. The digestion process and absorption of the seeds are much more beneficial when they are immersed in liquid. Chia seeds have the ability to absorb 12 times its weight in water. They are a great way to prolong hydration by helping regulate body fluid levels and retaining electrolytes. Doesn’t that sound great for a run on a hot and humid day? Flax seeds should be ground because it is much easier to digest. Consuming whole flax seeds may pass through your intestines undigested, therefore you will be missing out on the benefits from this seed. 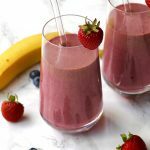 In addition to looking great, tasting amazing, and refueling the body, I also wanted to give this smoothy a little energy boost. I added a touch of maca root because it is a natural source of healing nutrition. I prefer natural alternatives to do the trick. Maca is known to be a “adaptogen” which helps the body naturally adapt to stressors such as a demanding job, illness, or raising 4 crazy boys. This superfood is an amazing health booster and also balances hormones and energy levels. I am a high energy person so there is no need for coffee to get me ramped up, but occasionally I do need a pick-me-up if I am lacking sleep. With the right ingredients a smoothie will be able to replenish some of the nutrients that are depleted throughout the day. 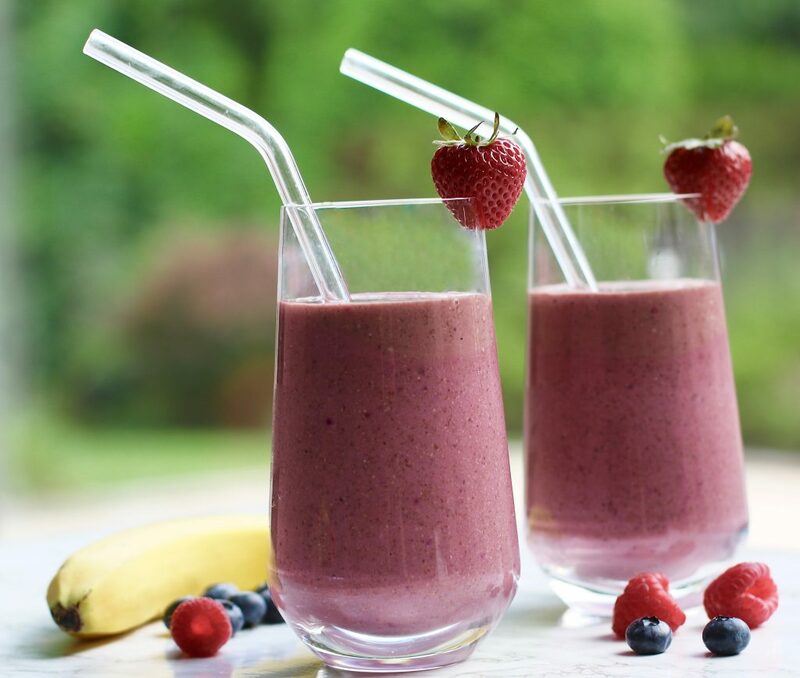 Add some protein powder and this smoothie makes an excellent post-workout snack. 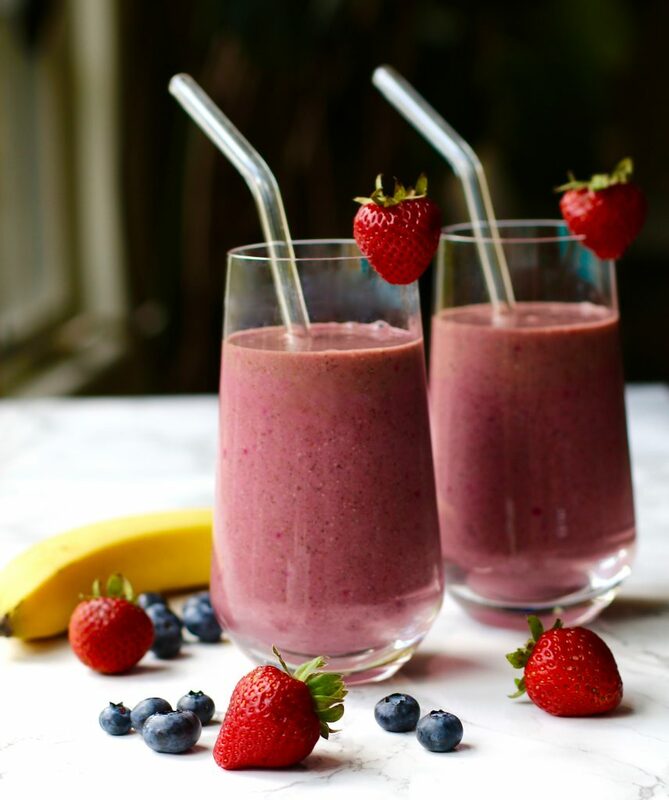 Refreshing, light, and delicious this smoothie makes a wonderful nutritious snack. Packed with all the nutrients needed in one glass to help you reach your daily dose of vitamins and minerals. A perfect way to hold you over until your next meal. Combine all ingredients in a vitamix until smooth. Chia seeds should be soaked before consuming to help maximize the benefits. Flax seeds should be ground so they will be easier to digest. Did you ever hear of dragon fruit? Do you like reading fashion magazines? Hey, I know you people. Miss you guys. Great post Gabrielle! Thank you! Miss you too! Looks divine!! I can’t wait to try it! Allure magazine is a great periodical. Thank you!! I hope you like it. I love Allure as well.